The BBK-75 series kinematic laser beam benders provide a 90º beam displacement with a 75mm clear aperture. Independent Orthogonal mirror correction with 80 pitch adjustment screws provides precise, repeatable alignment. Optic removal and replacement can be accomplished without affecting alignment. Several thicknesses can be accomodated. All captive hardware. 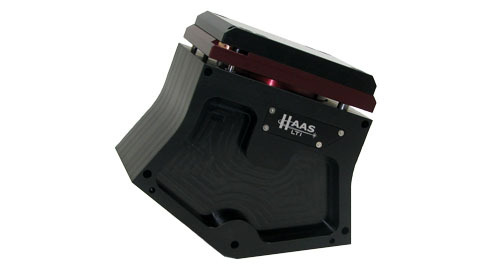 Haas part number BBK-75-500630-WI shown above. Download technical drawings for each stock part number on the right. Download free Adobe PDF reader and SolidWorks Viewer on the left.